Has Your Ankle Pain Kept You From Exercising? People who experience pain in their ankles quickly realize how difficult it is to walk. Ankle pain if not treated properly can cause compensatory changes to the way you walk. In other words, if you try to avoid using your ankle joint because of pain, you’re transferring more pressure to other joints. This change in your gait (the way you walk) can cause long term damage to other tendons and joints. So what can cause ankle pain with walking? Most commonly, osteoarthritis of the ankle joint can cause ankle pain with activity. Osteoarthritis is typical “wear and tear” arthritis. Cartilage is degenerating and the joint has become a “bone on bone” surface. Overusing a joint or repetitive motion of a joint can cause osteoarthritis. Most people describe the pain as aching or feeling like the joint is stiff after resting for a period of time. After walking or moving for a minute, the pain seems to get better momentarily but quickly returns with rest again. So what can you do about osteoarthritis in your ankle joint? Home treatment is extremely difficult, especially since the ankle is a weightbearing joint. At Advanced Podiatry, our doctors perform a thorough evaluation of why the ankle joint arthritis has developed. Most of the time, some type of biomechanical abnormality is present. If you have a flat foot or a high arch, this can cause increased pressure to the ankle joint or even cause an impingement on one side of the joint. Osteoarthritis can also develop if you have a previous history of injury to the ankle joint or the ligaments that surround it. Ankle fractures and ankle sprains can both cause the joint to become unstable. Instability leads to increased motion which can cause arthritis to set into a joint. Treatment options offered at Advanced Podiatry vary from conservative to surgical treatment. Use of anti-inflammatories such as ibuprofen along with ice therapy can help temporarily alleviate pain. Sometimes a cortisone injection can help alleviate inflammation if the joint is having an arthritic “flare-up.” Orthotics are also a great treatment option for ankle pain, especially if the arthritis has developed because of biomechanical causes. There are also many other advanced treatment options at Advanced Podiatry that we offer such as super-pulse laser treatments and prolotherapy. If conservative treatment does not resolve the symptoms of arthritis, then surgical treatment can also be considered. These treatment options can vary greatly with each person and should be discussed extensively with your doctor. 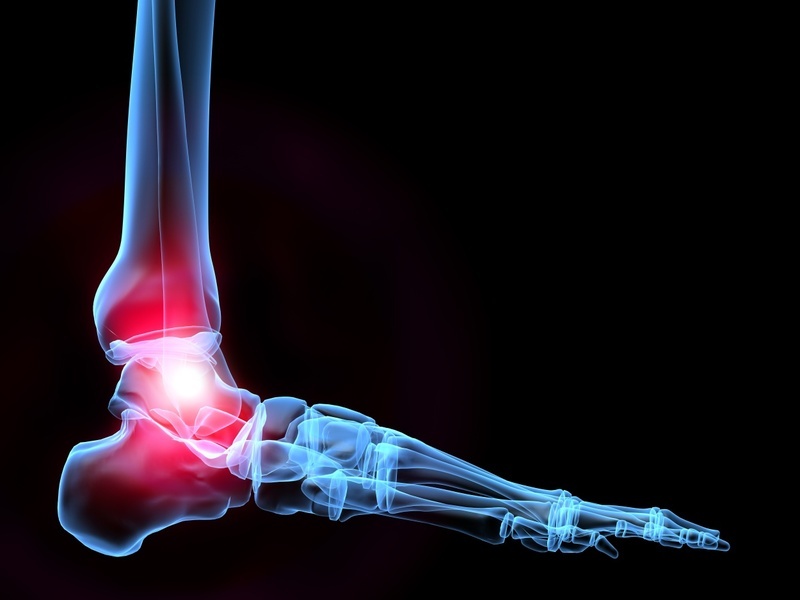 If you are suffering from symptoms of osteoarthritis in your ankle, then call Advanced Podiatry at (813) 875-0555. Our doctors have many options to have keep your feet and ankles pain-free so you can stay active and healthy! Podiatrist Sees Foot Pain in Tampa! Is It Normal?